July featured a wide variety of temperatures, from more than 3°F below normal to more than 2°F above normal. 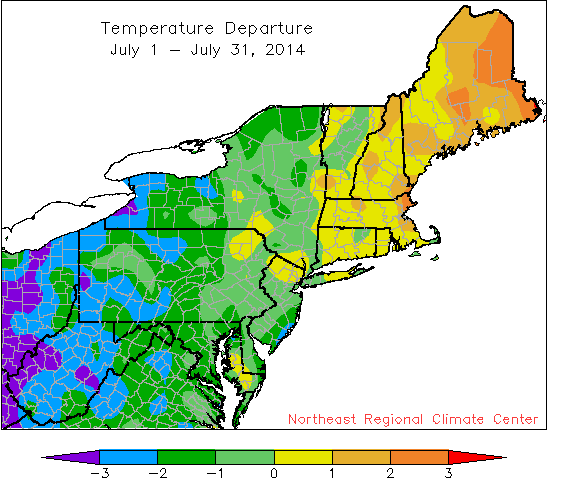 Normally the warmest month of the year, July was cooler than normal at 20 of the 35 Northeast airport climate sites. 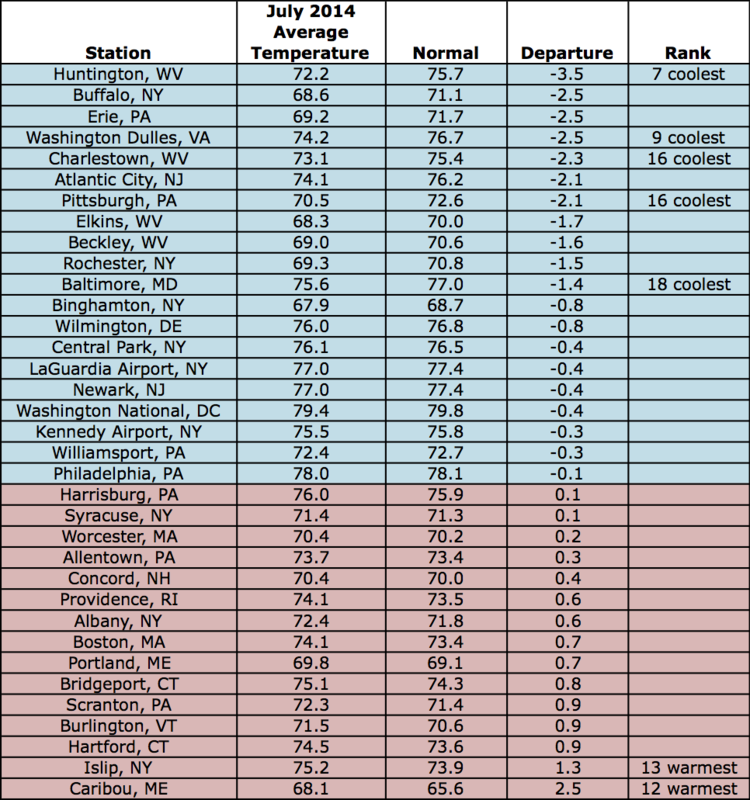 Departures were as low as 3.5 degrees below normal (in Huntington, WV). At several sites, June was actually a warmer month than July! However, much of New England was warmer than normal, with departures up to 2.5 degrees above normal (in Caribou, ME). 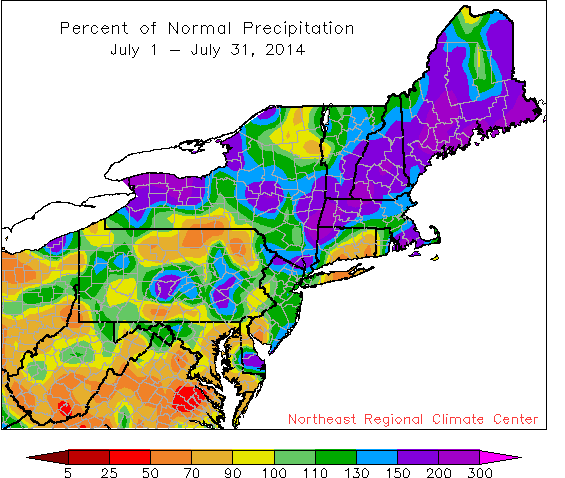 Precipitation ranged from less than 50% of normal to more than 200% of normal in July. 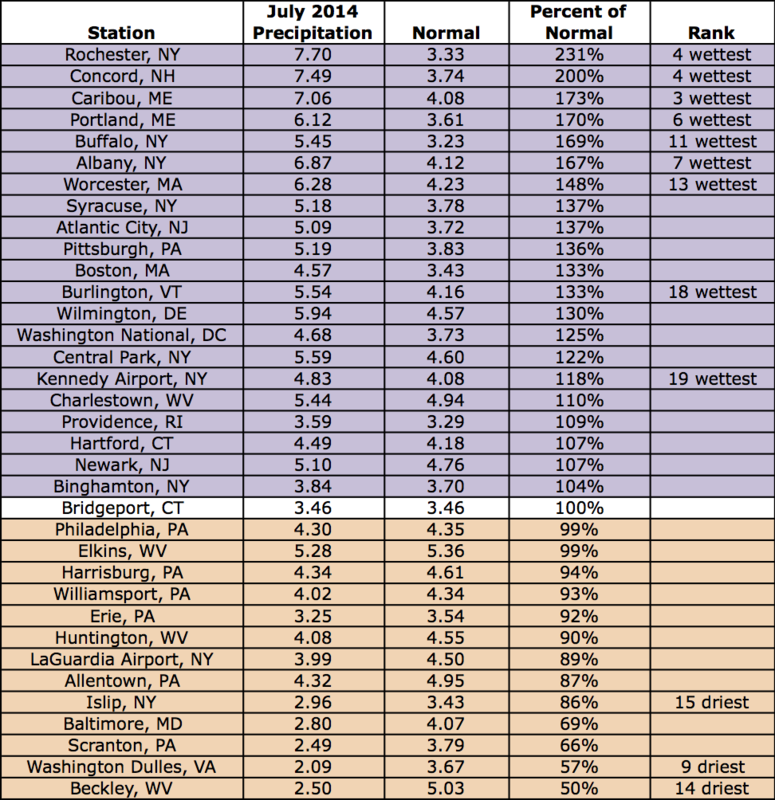 Out of 35 climate sites, 21 sites were wetter than normal in July. Rochester, NY, topped the list at 231 percent of normal rainfall. Multiple rounds of storms and Hurricane Arthur contributed to above-normal rain totals at some sites. On the other hand, Beckley, WV, was the driest site at 50 percent of normal.